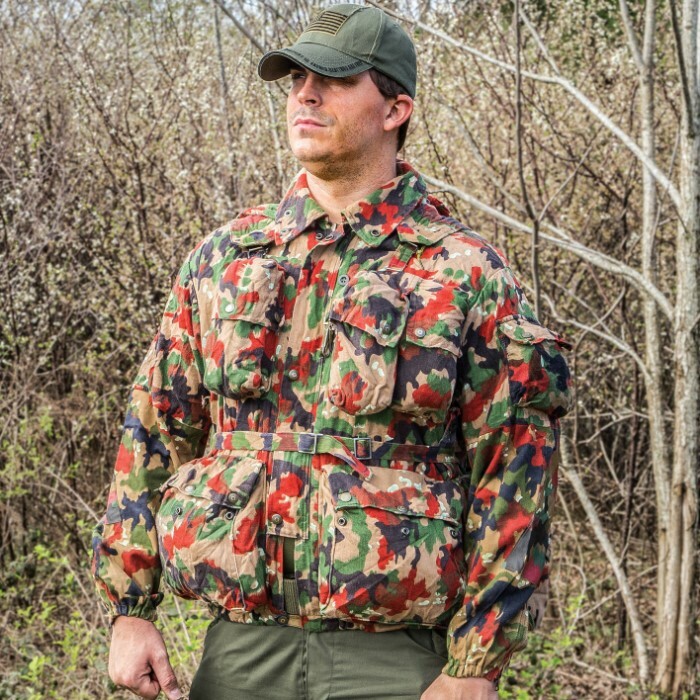 Swiss Army M70 Field Jacket / Coat with Rucksack / Backpack - Genuine Military Surplus; Used, Excellent Condition - Swiss Camo; Cotton / Polyester; Numerous Pockets - Camping Outdoors Tactical | BUDK.com - Knives & Swords At The Lowest Prices! 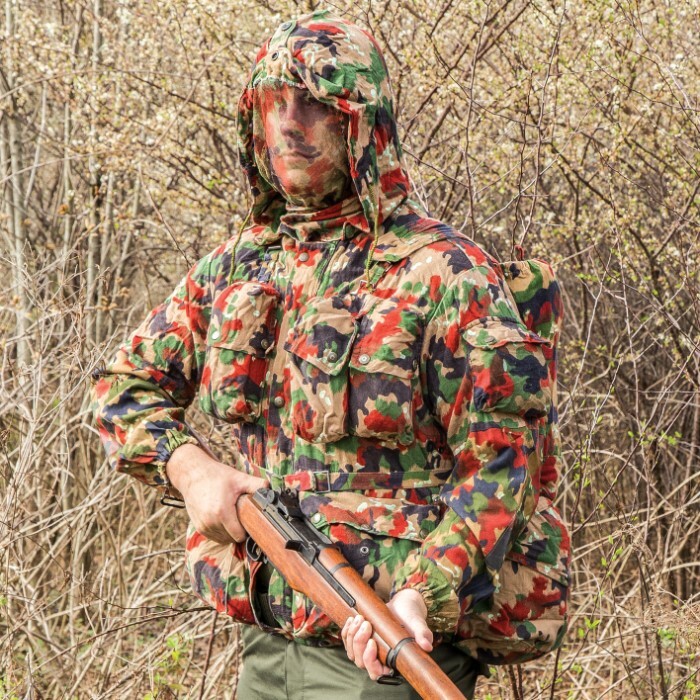 Authentic military surplus, this tough-yet-comfortable Swiss M70 Field Jacket and accompanying Rucksack is ideal for campers, survivalists and outdoorsmen looking for a little extra warmth and cargo space. 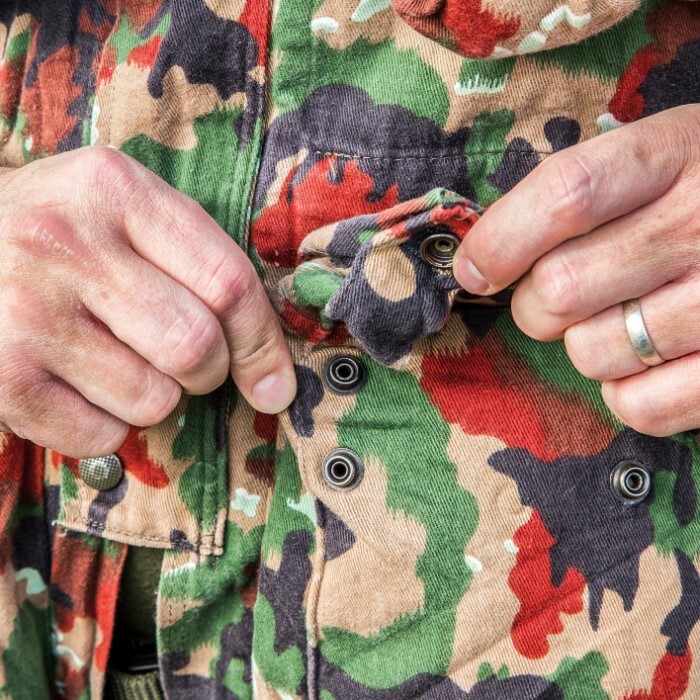 Featuring a classic Swiss camouflage pattern, the jacket is highly customizable and boasts five front pockets, two internal pockets, a left shoulder pocket and three on the back - more than enough room for daily essentials or small camping gear. A drawstring waist ensures a custom fit, while the front zippered design with built-in storm flap affords added protection against the cold. The coat alone affords ample storage and transport space, but add the included rucksack and you can lug almost anything. 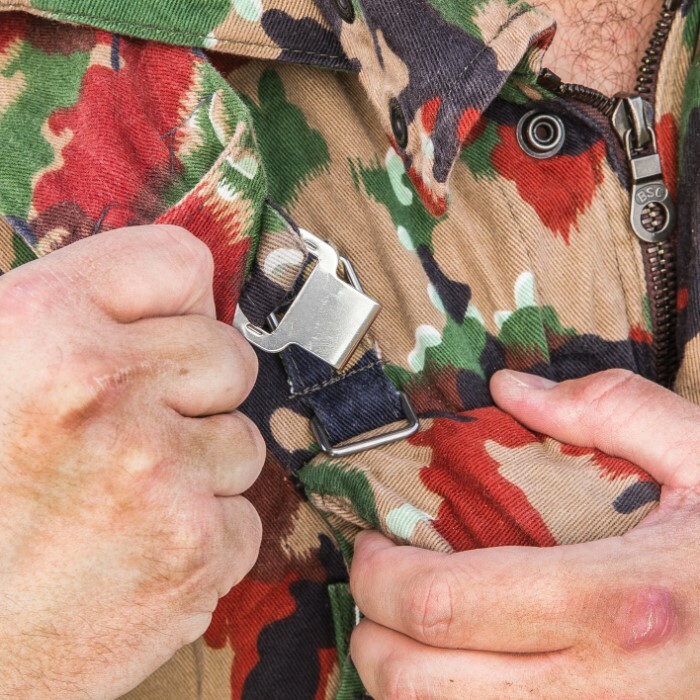 Designed to accompany the jacket, the pack features the same iconic Swiss camo pattern, a large main compartment and two smaller side pockets. Shoulder straps with metal hardware keep the pack comfortably and securely tethered to your back. 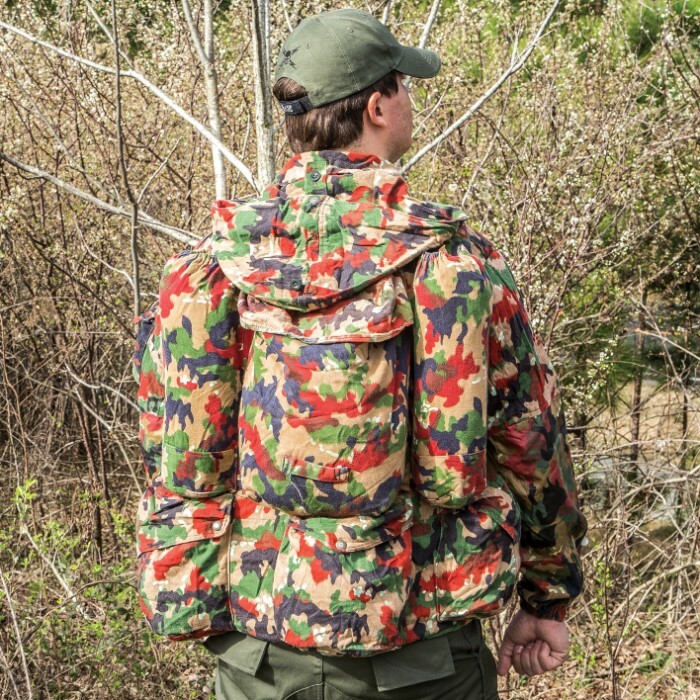 Whether you're fishing in Montana, backpacking on a cool morning, or just wearing the jacket around the shop, you'll love the mobility, functionality, and warmth of this jacket and rucksack combo. So why pay more for inferior gear? 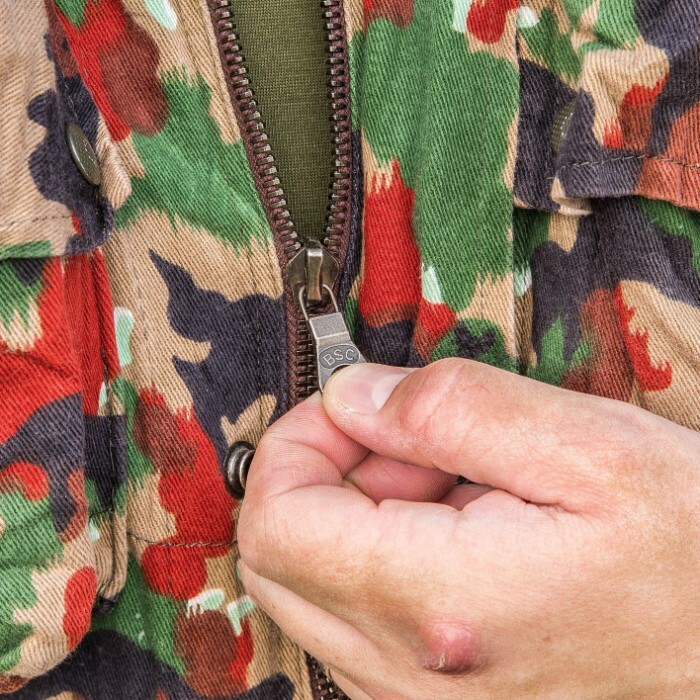 Opt for military grade quality at a budget price! Ok so my first experience with BUDK was very very positive. This is actually the first time I've left a review of a product or of a seller outside of Gunbroker. I couldn't wait to write this review. The jackets arrived today and I opened the box as soon as I arrived home from the office. I wish I would've found this place (BUDK) years earlier. The Swiss field jacket. . . . . . how does BUDK offer these incredible jackets for this price? Simply unbelievable. The Swiss made a very cool and well made jacket. The fabric is similar to denim, very sturdy, and very well constructed. The camouflage that you see in the photo is a good representation of what I received. The design, in my opinion is cool and also stylish. I will have no reservations putting this in my casual coat-jacket rotation. The condition. . . . .I ordered five, yes, five. I'm keeping two for myself and I have two sons. The other two will be gifts. The condition of each jacket is equally incredible. I would say, very gently used. 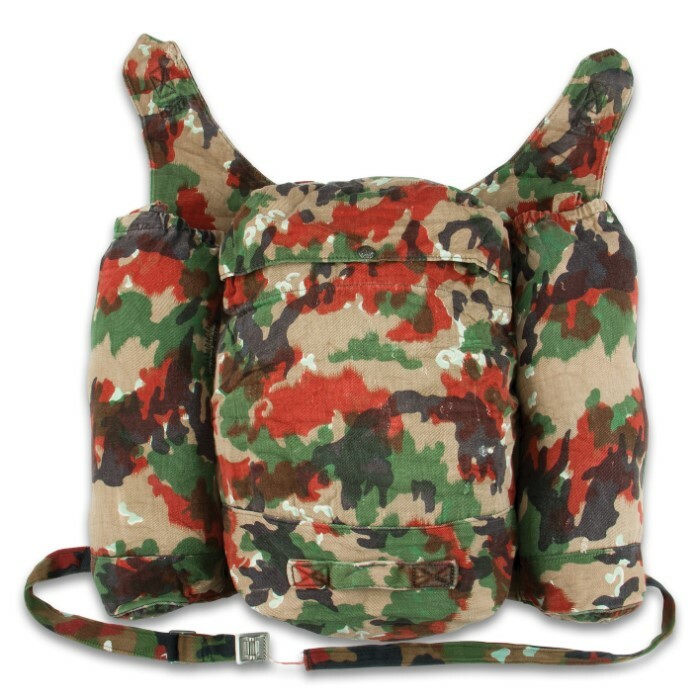 Each jacket also came with equal quality ruck sacks. I am 5-10" and weigh around 180. The Large fits me fine. I believe the European designation for Large is 52. 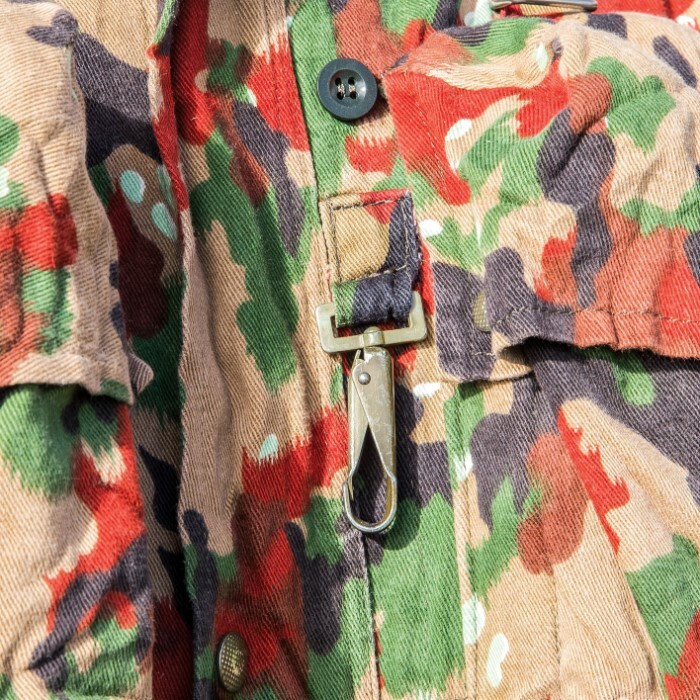 If you are reading this review then you must have an interest in military surplus/ vintage clothing and my suggestion is don't wait too long or these will be gone. Today I felt like a kid opening Christmas gifts in February. 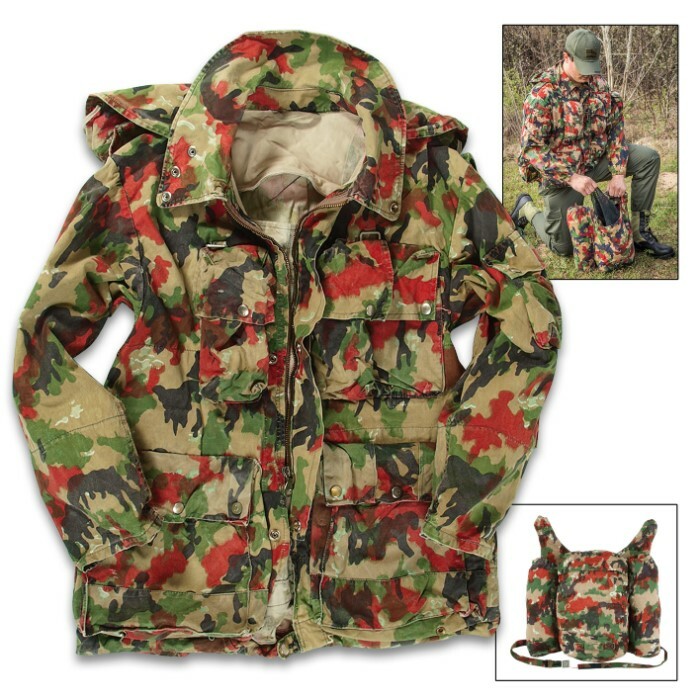 AS BOTH A COLLECTER OF MILITARY SUPRLUS, KIT, AND PRACTICAL USER OF SAID PRODUCT, AS BOTH MILITARY AND ACTUAL STREET APLLICATION ( HOMELESS ) THIS PARKA IS OUTSTANDING! TRUALY, THE DESIGN, IN MY OPPION, IS BEYOND EFFICAIOUS, IN A PRACTICAL SENSE. THE ONLY OTHER PARKA EVEN IN THE RANGE, OF THIS IS ITEM IS WELL OVER 200, YES, THE MATERIAL IS OF "THICKER" WEIGHT; HOWEVER, IT'S QUALITY, SERVICE LIFE, IS FAR SUPIER. THE ONLY FRACTIONAL NEGATIVE ( 4 STARS, NOT 5 ) WOULD BE THE PACK. STRAP WAS DETACHED. SIMPLY FOR THE COST, A TRUE GEM THAT CAN BE BOTH COLLECTED AND ENGADED. HIGHLY, HIGLY RECOMMED. WILL MOST ASSUREDLY PURCHASE ANOTHER TO ADMIRE AS PART OF MY COLLECTION. IF I, OR ANY ANOTHER HAD TO "BUG OUT!" , WHICH I HAVE DONE, THIS SWISS "ROLEX" PARKA WOULD BE THE COVER OF CHOICE. AMAZING! The example I received was in overall good condition, with no stains, repairs or damage. The overall look and condition is something like denim that has been previously washed and worn. The "Leibermuster" camouflage in this example is in 6 colors, light OD/tan, pale sea green sometimes outlined white,dark green, black, brown and red. The red is a muted brick red, and the overall scheme is subdued but distinctive. The build on this jacket is meticulous and sturdy, one of the heaviest jackets (4 lbs +) I have encountered. The multiplicity of large pockets tends to diminish overall defined shape, but that is not a drawback. Having been stored, it has the "smell of Old Europe," but this can be mitigated with airing out. I'm not a fan of the separate backpack, but will find a use for it. Based on the example received, recommended. Mine is in great condition. The side pockets on the backpack have old elastic. I will replace with drawstrings. What are all the straps for? Very happy. I just got my Swiss Army field jacket and I love it. It looks sharp and stylish and I can fit everything in the coat and attached backpack that I had to carry in my US Army backpack. I fitting it as a bugout and EDC coat. My jacket appeared almost new. Smelled slightly of CS gas (tear gas) but a good washing took care of that. I’m 6-2 260lbs. And the Xl was a bit tight and small, but I can make it work. Good utility jacket! The jacket is phenomenal quality! Tons of pockets inside and out, the 3/4 zipper with storm flap is great and I love the PVC elbow reinforcements. Very warm! The rucksack is a great added touch, and with simple modification could be used without the jacket. One of the straps on the back pack was broken, that was very disappointing. The Jacket was nice. The coat was a perfect fit for me. It arrived in good condition. Lots of deep pockets for all my equipment. Perfect waist length. In NY we called this jacket a car coat. Just right for getting in and out of a vehicle. I have no use for the ruck sack so I will give it away to some child I know. The jacket weighs 4 1/2 lbs for and xl so it in not a light weight jacket. Looks like it will be good in the dry days but if it rains it could be a issue unless you water proof in some how. lot of pockets that you can fill a lot of stuff into but I would recommend to wash the jacket since it has an odd smell to it. The arms are a bit short for my height.